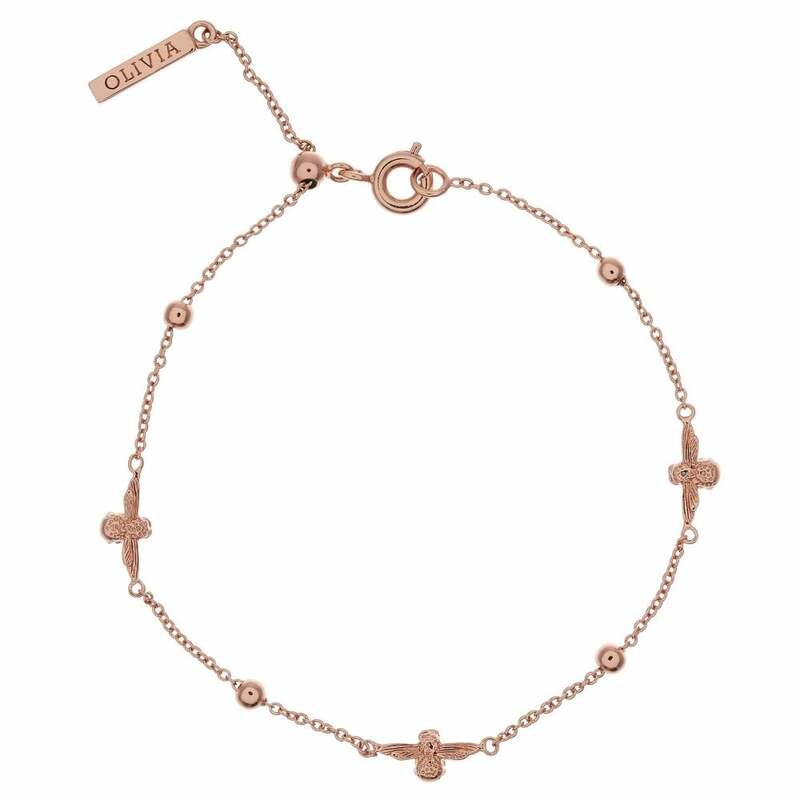 This elegant Rose Gold plated bracelet, featuring dainty 3D Moulded Bee and Ball from the Queen Bee Collection, adds a subtle touch to each outfit. Nickel free, adjustable size and comes presented in an Official Olivia Burton Presentation box. Please note that Olivia Burton Jewellery does not come with a Warranty.